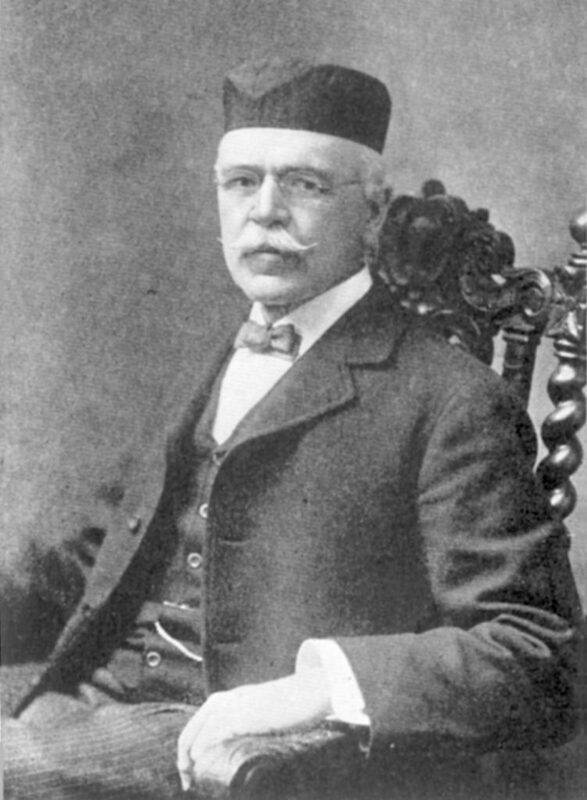 Henry Robinson Towne was born in Philadelphia on August 28, 1844, the son of John Henry Towne, University of Pennsylvania trustee and founder of the University’s Towne Scientific School (now the School of Engineering and Applied Science), and Maria R. Tevis. Young Henry Robinson Towne entered the University in 1861 as a freshman in the College Class of 1865. During his one year at Penn, he joined the Delta Psi fraternity. After Towne left Penn at the end of his freshman year, he studied engineering in Paris, France. In 1868 he formed a partnership with Linus Yale to develop the Yale lock, becoming president of the Yale Lock Manufacturing Company in 1869, and later of its successor, the Yale and Towne Manufacturing Company. From 1888 to 1889 he served as the president of the American Society of Mechanical Engineers. The University honored him with an A.M. gratiae causa in 1887. Henry Robinson Towne married Cora E. White, the daughter of John P. White of Philadelphia. Towne died on October 15, 1924, at his home on Park Avenue in New York City.